Unlike other materials, soil has THREE phases. One type of phase material to another behaves differently. Therefore stress deformation behavior of soil is different in TIME and SPACE. Soil profile as well as their characteristics could be varied both vertically and horizontally. In addition, stresses applied on the soils are different in directions and magnitude. In addition the directions of stresses are changed during the deformation. 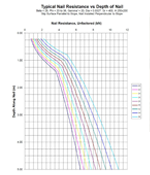 Mobilization of soil strength is varied depending upon mode of failure and level of strain. Deformation characteristics are also dependent upon many factors even for the same type of soils. Moreover, new generation geotechnical engineers are required to deal with limit state deformation than ultimate state due to urbanization. Such analyses are reasonably able to carry out by applying stress deformation analyses using Finite Element Modeling techniques (FEM). DST has the capability to carry out FEM analyses and interpret the outputs to be able to provide the client with the most cost effective and safe design.